CDR recovery software is designed to recover corrupted CorelDRAW x5 file without losing a single bit of information. 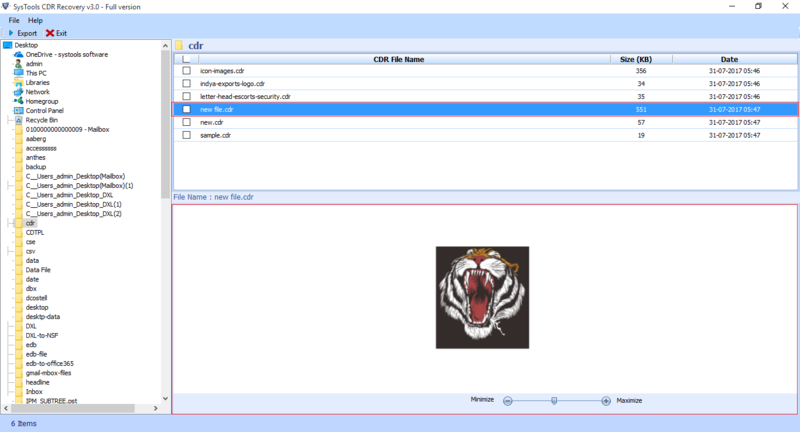 This tool helps to scan the damaged CDR file data and then, creates the preview of the complete CDR file. There is no file size limitation whenever performing the recovery process. Moreover, the software supports all version of Windows OS including Windows 10, 8.1, 8, 7, Vista and so on. CDR data recovery tool permits to recover CDR files that are corrupted or damaged without any kind of data loss. Moreover, this tool also helps to scan the complete CorelDRAW file and then, generate the preview of the damaged CDR data file. 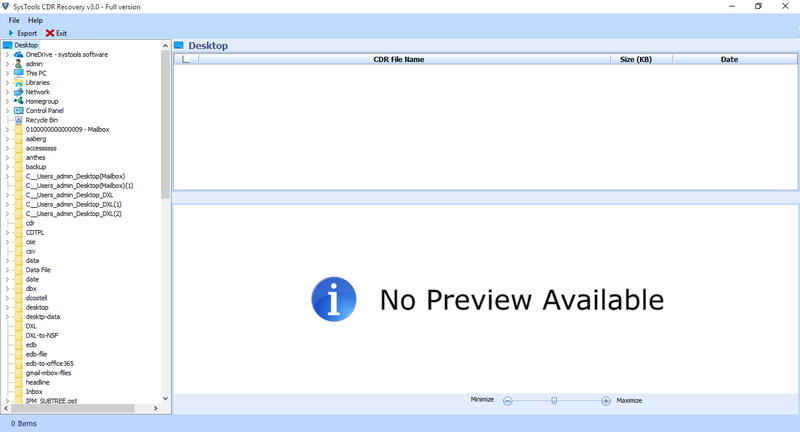 With this, the user can preview all files with precision along with Date and Size of the file. 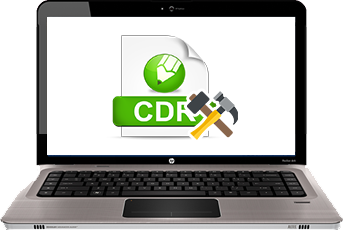 The CDR recovery tool is designed to repair CorelDRAW CDR files in bulk at a time. With this recovery tool, the user can easily recover damaged, corrupted, and deleted CDR files in an original structure. However, it allows to retrieve CDR file of any size without any kind of interruption. Once the recovery of CorelDRAW file is done, afterward this tool offers an option to convert data into CDR file format itself. Moreover, it can easily export recovered CDR files without any hassle. It also ensures to maintain the data integrity as it is within the original file after a successful recovery process. Before to export the data file, this CDR File Recovery has inbuilt sliding bar option used to adjust the file size while previewing after recovery. After that, the user allows to export data into CDR format successfully without any complications. 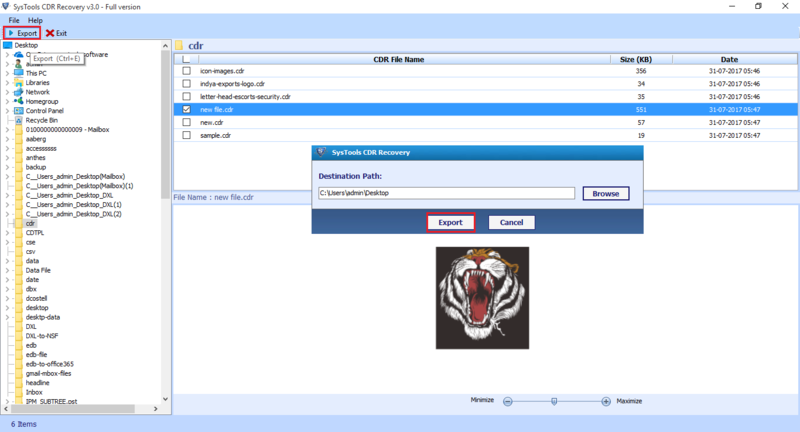 CDR Repair Software keeps the file structure of CDR data is same as the original file structure after restoring the file. This software also maintains the integrity of data during or after the recovery procedure. CDR data recovery software is compatible with such versions as CorelDRAW x10, x9, x8, x7, x6 & x5. Also, this application will support all editions of Windows machine such as Windows 10, and all previous versions of it. I have accidentally lost some data from my CDR file due to virus infection. I was so depressed because the lost data is very precious for me after that, I came across this CDR recovery tool by which I can repair corrupted CDR data files. This tool also can scan my lost CDR files and helped me to recover all the CDR files without any loss. I appreciate the development team for creating such an efficient and reliable tool. CDR data recovery tool has a simple and user-friendly interface. If any one who does not have any technical knowledge to recover the corrupted CorelDRAW files then, with this tool they can perform this task accurately. Now, I have recovered all my corrupt .cdr files using CDR repair software without facing any difficulty. Thanks a lot for an amazing creation. One of the best part I liked about CDR recovery software is that its feature to repair CDR files in batch form. This software can easily restore CorelDRAW files at a time without any data loss. Even this tool will maintain the data integrity while recovering corrupted CDR files. I want to thank the software developers for initiating CDR recovery tool to repair all CDR files that are damaged, corrupted, or deleted as well. Being a non-tech user, I can easily operate the CDR data recovery solution and had no prior knowledge about this tool. When using this tool, there is no need to be an expert at any of the technologies. This software has a graphical interface while utilizing it. Great Application. Due to such reasons, CDR recovery solution can repair CDR files that may corrupt or deleted permanently. Also, this tool supports all versions of CorelDRAW including x5, x6, x7, x8, x9, x10 versions. Recover damaged or corrupted CDR data in an original format. There is no file size limitation during recovering process. 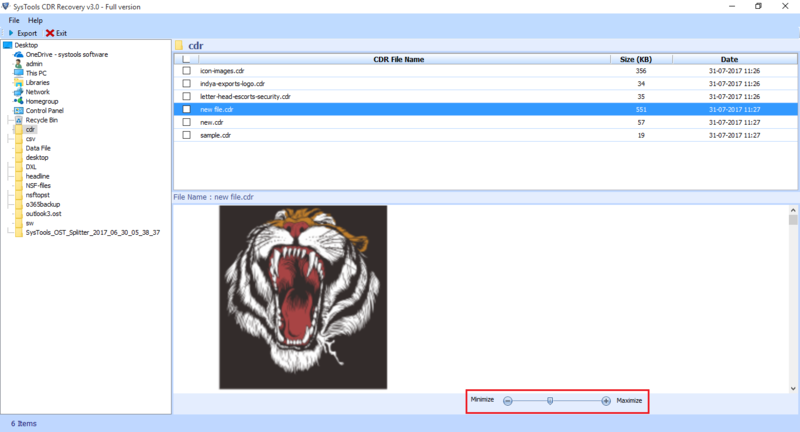 Allows to export recovered CorelDRAW .cdr data files.